← Leupold VX-6 Rifle Scope Has Arrived! The FLEX System by Mossberg allows you to customize your shotgun with no tools and almost no time! 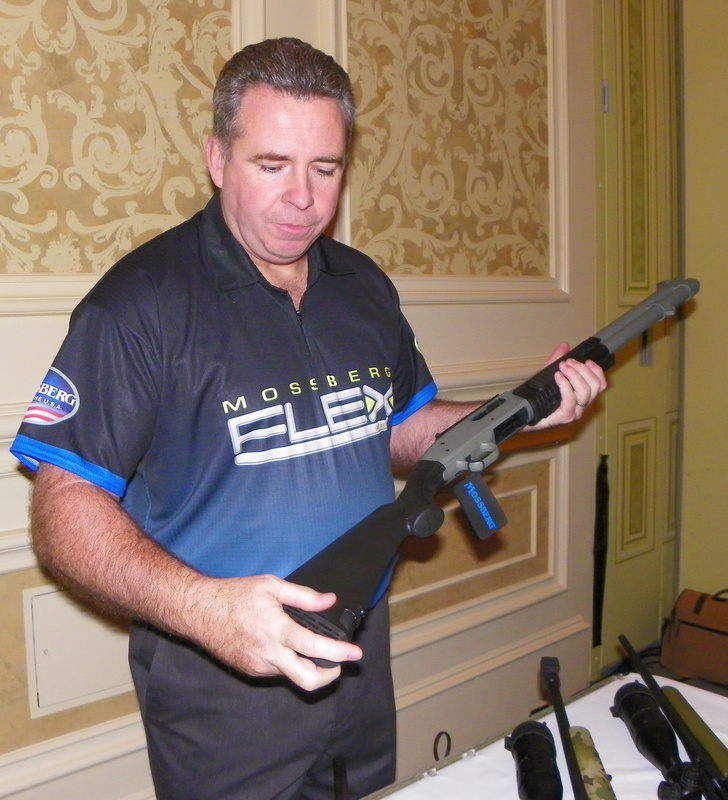 Everyone likes to flex their muscles and Mossberg is doing it in a BIG way for 2012 with their new interchangeable FLEX System. Mossberg starts with their legendary 500 / 590 platform. This gives you the durability and proven engineering of a pump-action shotgun. This revolutionary firearm allows you with a simple switch to change stocks, forends, and recoil pads. You now have the flexibility in a variety of situations from hunting, self-defense and general-shooting applications. No gunsmith is needed to customize your shotgun. Start with the all-purpose FLEX 500 with an adjustable trigger. The Mossberg TLS – Tool-less Locking System – makes it easy for you to quickly change to one of 11 configurations. Need a tactical shotgun? Change the stock to the Pistol grip and use the standoff barrel. Need a smaller length of pull? Pick the FLEX 590 Tactical with an adjustable stock. Did we mention there are no tools needed to customize? The TLS connectors are found on all FLEX shotguns and accessories. It takes just seconds and has never been easier. As they say…. Go ahead and FLEX Your Mossberg. For more FLEX system product information, go to the Mossberg website at www.mossberg.com. 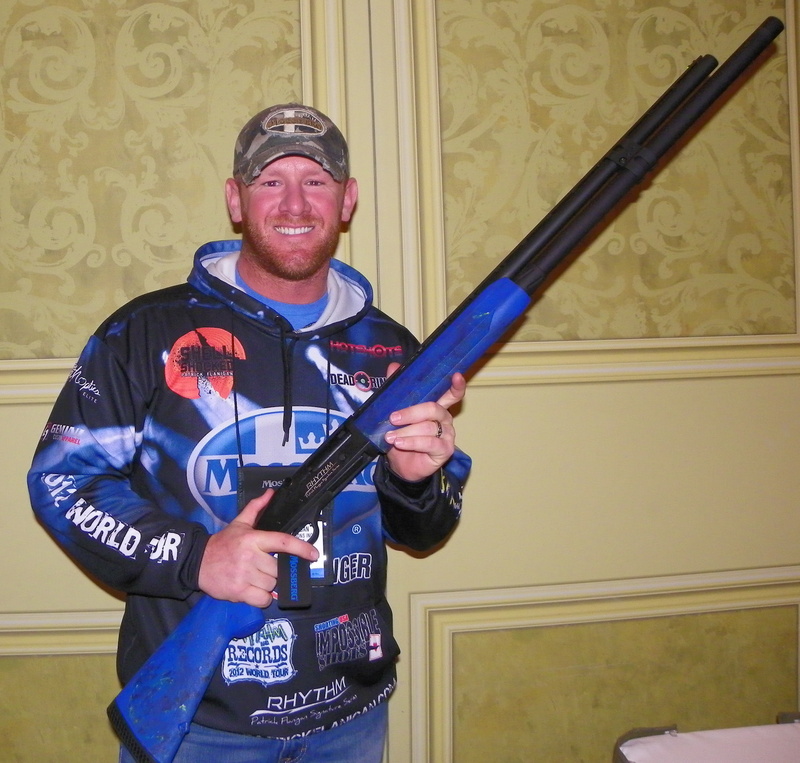 In the market for a high performance model shotgun? The Flanigan and Miculek Signature series are top of the line. We had the opportunity to speak with both shooters regarding their personal design input into these firearms. Jerry is a champion competition shooter and has a need for speed. His JMPro Series 930 is a 9-shot, 22″ barrel or a 10-shot 24″ configurations. They are engraved and make an outstanding shotgun for 3-Gun matches. 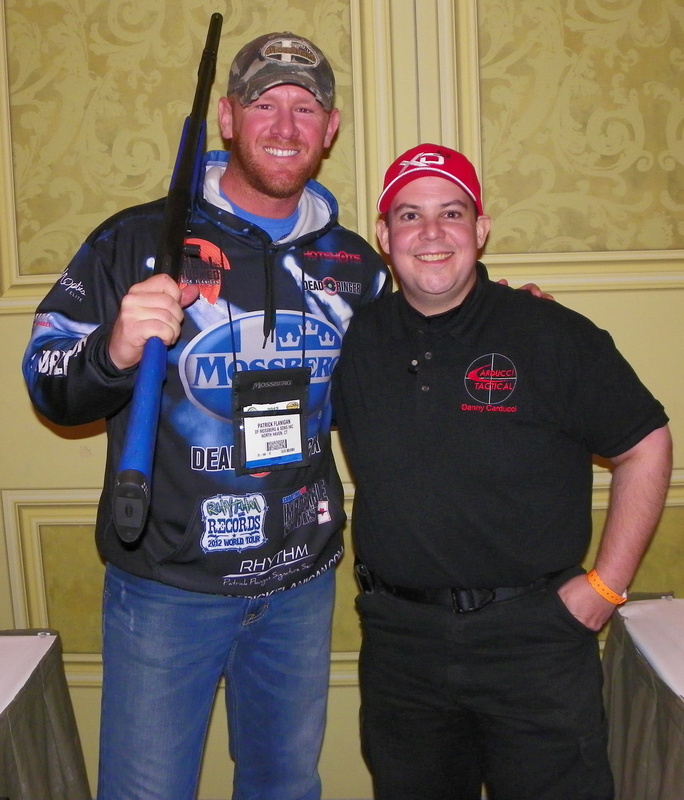 World record holder Patrick Flanigan is debuting the “Rhythm” series 930 13-shot, 28″ barrel. The stock is a beautiful blue and yellow marbled synthetic. The name comes from Flanigan’s love for rhythm. He has played the drums for most of his life and gave away a secret to his success as a shooter. He throws and shoots to the rhythm of the gun. Keeping to the beat he has broken world records and the new Mossberg will make it even easier for him to do so in the future. Both of these models feature a beveled loading port and shortened forend for loading ease with extended magazine tubes and a stabilizing barrel clamp. If the FLEX system or the Signature Series are not enough to impress, Mossberg has added to their THUGS series, as well as, the Mossberg MVP Varmint and Predator Rifles. The patent-pending bolt design allows 5.56mmNATO / .223 REM AR-style magazines to feed rounds successfully. This is a modern breakthrough in the bolt-action category. Looking for something that is just plain and simple fun? They have a 464 SPX Lever Action rifle in .30-.30 Win. or .22LR. With tactical styling, an adjustable stock, tri-rail forend, fiber optic sights and an optional A2-style flash suppressor, these are a great addition to a superior lineup for 2012 from Mossberg. Look for the FLEX system to be at a local store near you in 4 to 6 weeks. Mossberg has new staff on board and look for even more innovations in the future. From what we’ve seen at SHOT Show 2012, Mossberg is on their way and headed in the right direction. This entry was posted in Gun Reviews, Product Reviews, Professional Shooters, SHOT SHOW 2012 and tagged FLEX Shotgun System, jerry miculek, mossberg, patrick flanigan, rifle, SHOT SHOW 2012, shotgun. Bookmark the permalink.